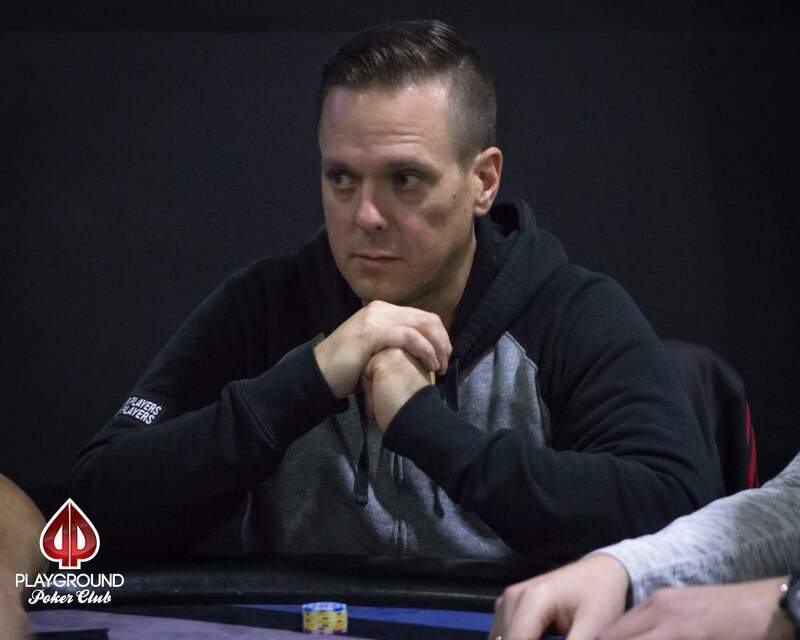 On Andrew Johnson’s elimination hand, Mathyeu Provost made it 20K to go from the under-the-gun position, and the bet was called by Pirooz Bayat, before Andrew potted to 88,000 with another 38K behind, from the small blind. Both players called. 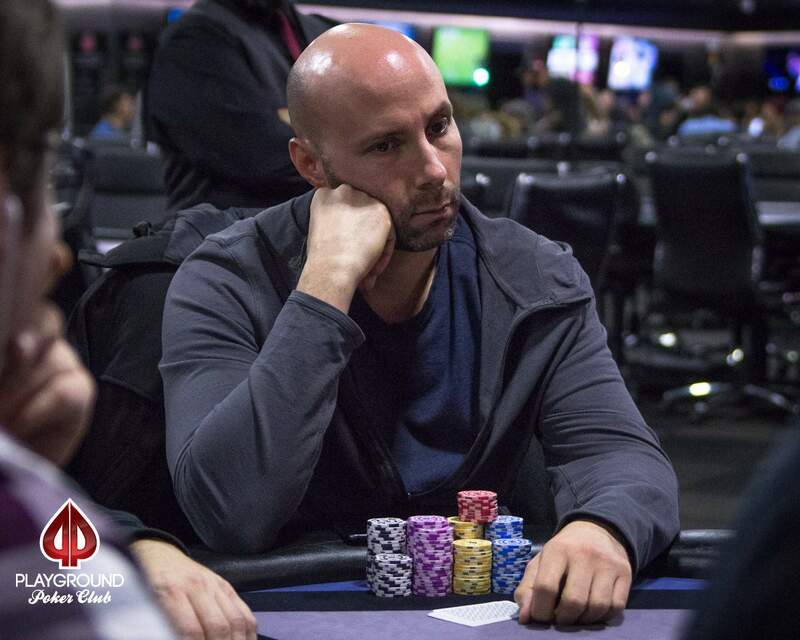 Andrew was first to act on the flop, and threw his remaining 38K in the pot. Only Pirooz called. 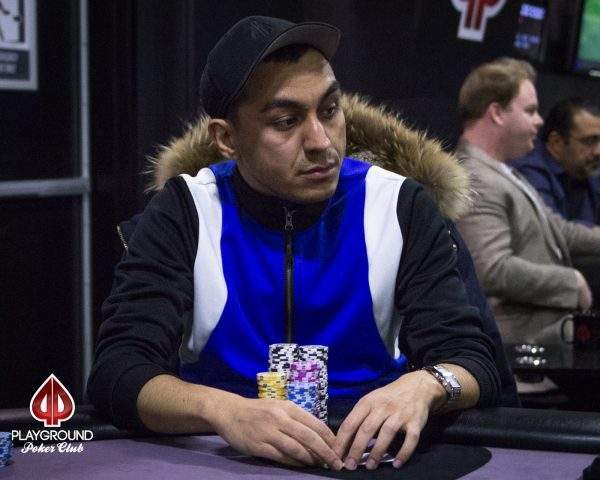 Pirooz had flopped a set, and Johnson could not find a king on the run out. He takes $1,090 for his 8th place finish. Dennis Pedersen was on life support for a while. 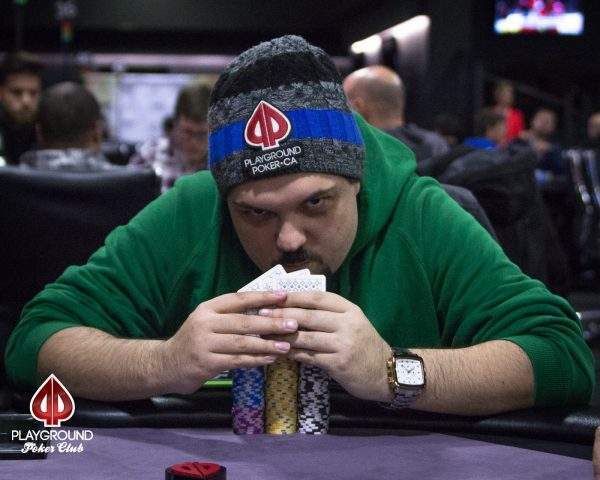 Even before the Event merged on the final table, he had 2 to 3 big blinds to his name. He kept folding, showing great patience, even doing so on the big blind, after putting up 50% of his stack on it, then managed to triple up. It made for some interesting dynamics when the rest of the players were disputing a pot. Obviously, no one wanted to bust before he did. 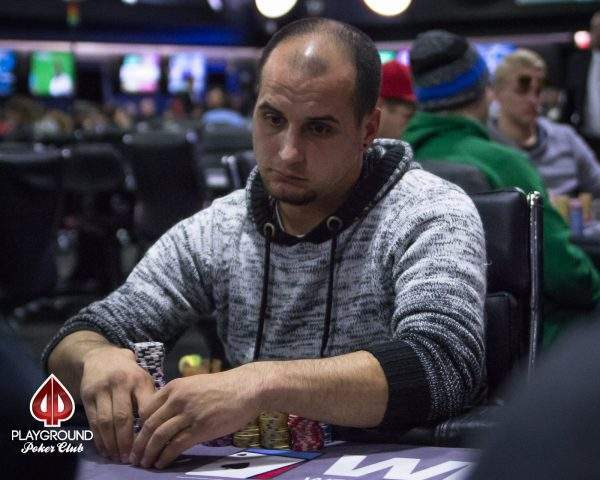 Pirooz Bayat, for exemple, took advantage of Sébastien Leboeuf by flat calling his flop bet, then firing big on the river when a third heart appeared. In the end, Dennis Pedersen went down from the big blind position. He was all-in pre-flop, and Manfred’s set of tens was too strong. Congratulations to all money finishers! 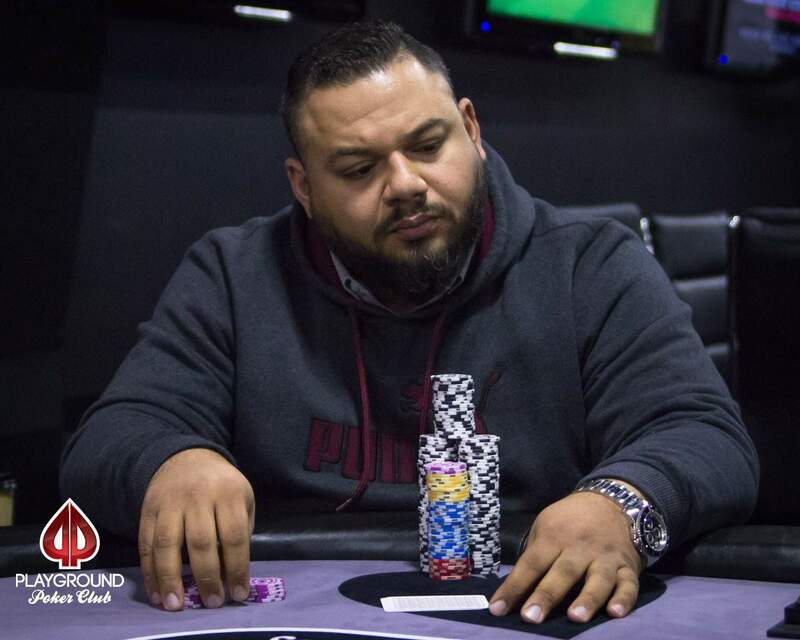 With the eliminations of Benjamin Chabot in 11th place and Claudemir De Oliveira in 10th, PLO players have reached the final table. 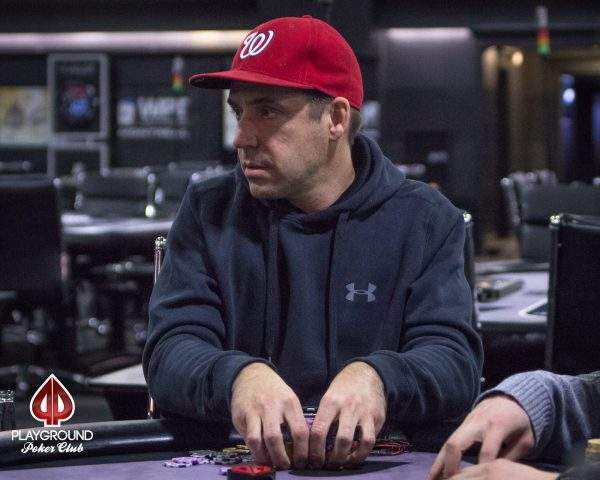 With 8 prizes in the Event, the formation of the 9-handed final table also spells the start of money bubble play. 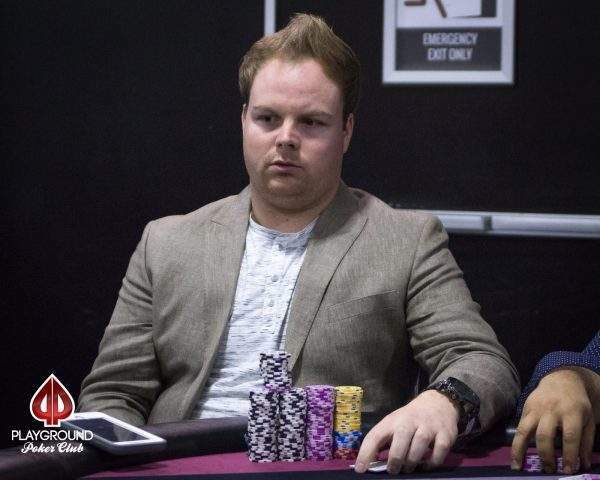 Raymond Latinsky, who started the day 2nd in chips, seems to have the upper hand on Sébastien Leboeuf, perhaps due to his greater experience. With a few micro stacks in the field, The Event will move to the 9-handed final table momentarily. With a break coming up, 3 players were taken out in a flash. Joey Boczek orchestrated 2 of them. He opened the first hand and was called by 2 spots. His continuation bet was also called twice, and when he bet the turn after hitting the nuts, only Mark W. Andress came along, throwing his last few chips in the pot. He failed to boat up, and finished in 13th position. Just a couple of hands later, Richard Book opened, and Joey contested the pot. Book’s stack was very shallow, valued at less than 60K. The rest of his chips went in on the flop. Richard finished in 12th place. Marko also lost the remaining of his chips on the other table in a hand that we missed. Marko was the first to go, just before Joey’s back-to-back knockouts. 11 players are now on break.